Shraddha Kapoor starrer 'Haseena: The Queen of Mumbai' is doing rounds on the internet and taking the cyber world by storm. 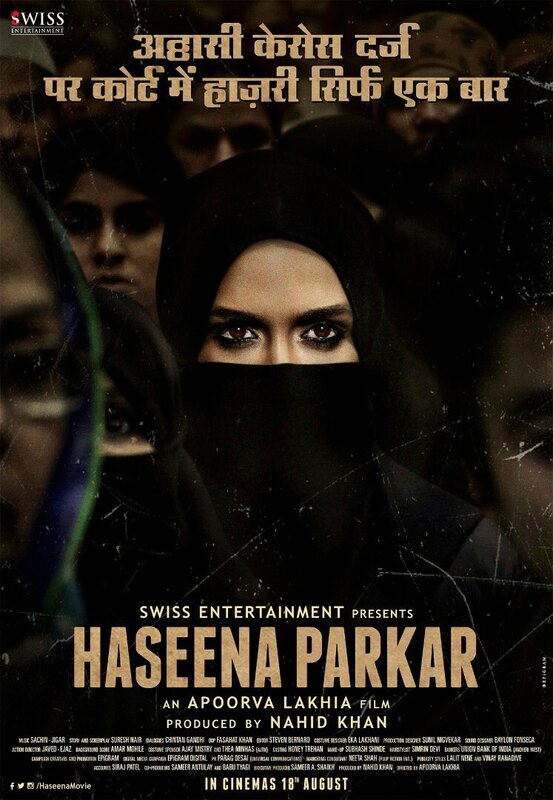 The film’s lead Shraddha Kapoor took to her twitter handle and unleashed another teaser poster of her upcoming movie in which she will be essaying the role of real life Haseena Parkar, sister of India’s most wanted gangster- Dawood Ibrahim. Directed by Apoorva Lakhia and written by Suresh Nair, the film is scheduled to release on August 18. The film stars Siddhanth Kapoor who will play the role of Dawood Ibrahim and Sharman Joshi as an inspector. It is to be noted here that Siddhanth Kapoor is Shraddha’s Kapoor’s brother and this would be the first time audience will see them together on-screen. The film’s release on August 18 also marks its clash with Ranbir Kapoor and Katrina Kaif starrer 'Jagga Jasoos'. Shraddha’s fans are going to look her into a wholly new avatar in 'Haseena: The Queen of Mumbai' as her last releases have been of simple and sweet the-girl-next-door roles.